Chocolate for breakfast?!? Yeah baby!! So I have decided to start sharing with you lovelies some of my most favourite and delicious recipes which I LOVE to make, cook and most importantly enjoy! Now it goes without saying that CHOCOLATE is by far one of the most popular choices when we are craving something sweet and for many of us, it’s eating chocolate which has resulted in us ‘falling off diets’, beating ourselves up about it and then perhaps even binging on more. When you start to learn how to NOURISH your body, this kind of behaviour is possible to change. I believe that we all have a right to eat whatever we like, regardless of what other people think and regardless of what internally we believe we should. I also believe, however, that it is completely possible to find a way of eating what we like whilst nourishing our bodies and souls and learning to eat as if we TRULY LOVE OURSELVES. Chia seeds are funny little things, they don’t look like much but when you add them to liquid they expand and turn jelly like! 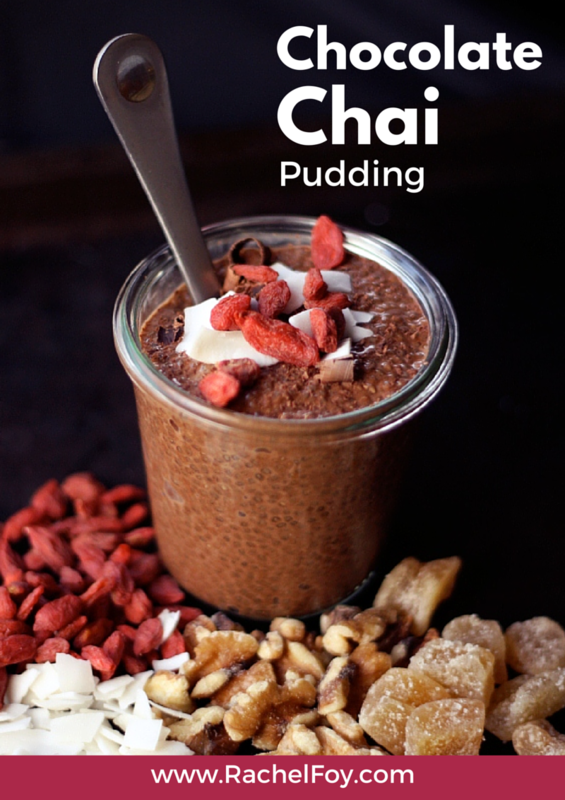 This chocolate pudding makes a great breakfast, snack or desert – I often eat it for breakfast, it’s a great way to start the day tucking into some divine chocolate. Now who wouldn’t want that?!? Serves 2 people or 2 portions! Simply add all the ingredients together, give it a good mix (or better still put it in a jar and give it a crazy shake – with the lid on of course!!!). 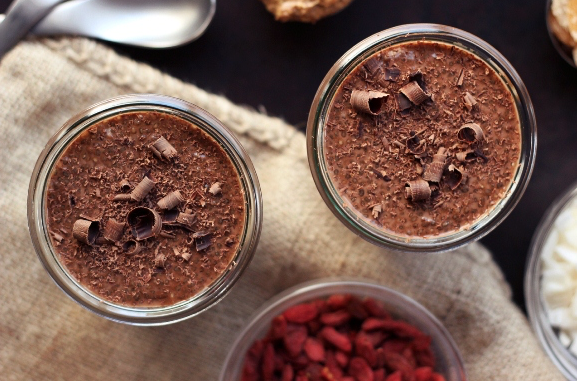 Pop it in the fridge for at least 4 hours and preferably over night. Enjoy with toppings of your choice (I love extra dark chocolate and raspberries on mine) and savour every mouthful. When learning to ditch the diet, break free from emotional eating and binging, I think it’s important to learn what your body enjoys to eat. After years of dieting we often lose touch of what that actually is. Try these chocolate puddings, you won’t be disappointed!